How often does music and rhythm improve patients’ perception of motor symptoms in Parkinson’s disease? ﻿Many of us agree that music enriches our lives, however, there is growing evidence that supports its use as a therapeutic intervention. In particular, researchers posit that rhythmic auditory stimulation could be beneficial in Parkinson's disease, a theory encouraged by both anecdotal reports and neuroimaging studies. Despite this promising direction, music's positive effect on motor symptoms is yet to be corroborated by empirical investigation. Our question: How often do patients notice that their motor symptoms improve when engaging with music or rhythm? 50 patients with Parkinson's disease filled out a music questionnaire during their routine visit to the Cambridge University Parkinson's Disease Research Clinic. In addition, 8 members of a PD choir completed the questionnaire, providing a highly motivated and musically experienced patient group. 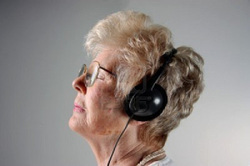 The results indicate that most Parkinson's patients do not notice any benefit of music listening to their symptoms. The study does not tell us why: perhaps music listening is not beneficial. Or perhaps benefits are only present with specific types of music. Or, it's possible benefits were present, but not noticed by the patients, or that they did not remember benefits when filling out the questionnaire. However, with just 2 of 58 participants reporting a benefit of music, this study poses a challenge for future research. We need a comprehensive assessment of how music benefits patients, and what musical features may be important (e.g., does the music need to be enjoyable, or familiar?). It may also be that only certain subgroups of patients will experience musical benefits. Ongoing research in our lab is investigating several of these issues.